€ 60,000 innovation support vouchers to SMEs for services such as a techno-economic evaluation, a market research, a sustainability and regulatory landscape review or business planning. She acts as a point of contact for SMEs in the UK, working with them to find partnering organisation in Europe and delivers innovation support services to SMEs for the NNFCC. Lucie holds a PhD and an MSc in Green Chemistry and Sustainable Clean Technology from the University of York, UK. Through her thesis she gained specific expertise in waste feedstock conversion using clean technology, specifically hydrothermal microwave conversion. 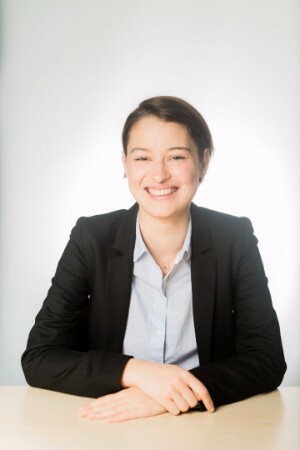 During her PhD, she became closely involved with the EU COST Action on food waste valorisation for sustainable chemicals, materials and fuels (costeubis.org), working for the network and developing a growing interest in technologies capable of extracting value from waste lignocellulosic materials. Previous working experience included working on technology assessment and policy assessment for both public and private sector clients at the consultancy firm Oakdene Hollins. Lucie is a key contributor and NNFCC contact point for the SuperBio project which supports SME innovation through the provision of professional services. Lucie worked on this project prior to joining NNFCC. The project focused on providing a state of play of the performance of each EU member state in five key waste management sectors in relation to the current EU legislative and policy framework applying to this sector. In the context of the new Circular Economy Package targets, it reviews waste management technologies employed within the key priority sectors including societal and economic considerations, such as employment and position of SMEs. Lucie worked on this project prior to joining NNFCC. This EU funded network focuses on strengthening cooperation between academia and industry to drive research forward in the field of food supply chain waste valorisation (costeubis.org). Clark, J. H., Pfaltzgraff, L. A., Budarin, V. L., & De bruyn, M. (2013). U.S. Patent Application No. 14/390,633. Green chemistry, biorefineries and secondgeneration strategies for re-use of waste: An overview. Pfaltzgraff, L. A., & Clark, J. H. (2014). Advances in Biorefineries: Biomass and Waste Supply Chain Exploitation, 1.